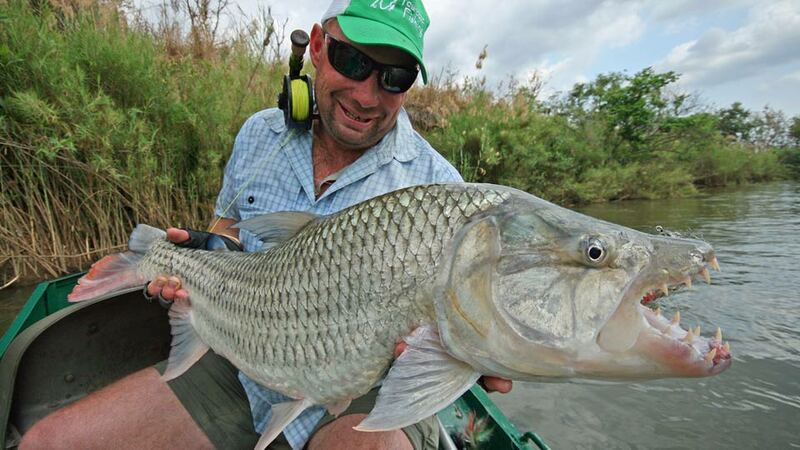 Tiger fish are renowned for their speed, strength, aerial antics, and aggressive nature. 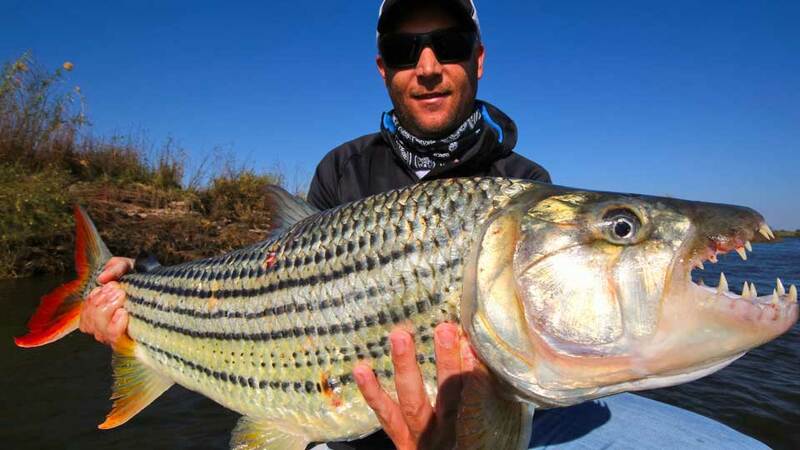 Tigerfish are one of the strongest fighters, pound-for-pound. They attack from the side at speeds of up to 30 miles per hour, then turn the bait around and swallow it headfirst. 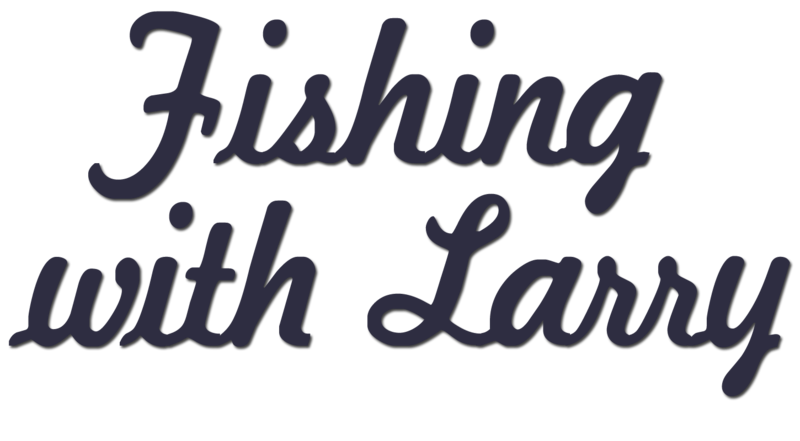 Lure and Fly Fishing - Nxamaseri Island Lodge is regarded as the premier fly fishing destination in Botswana. Peaceful, riverside lodge with over 300 bird species in the area. Shackletons is located in the floodplain region of the upper Zambezi River in Zambia near the village of Mwandi, meaning a place of plenty of fish. 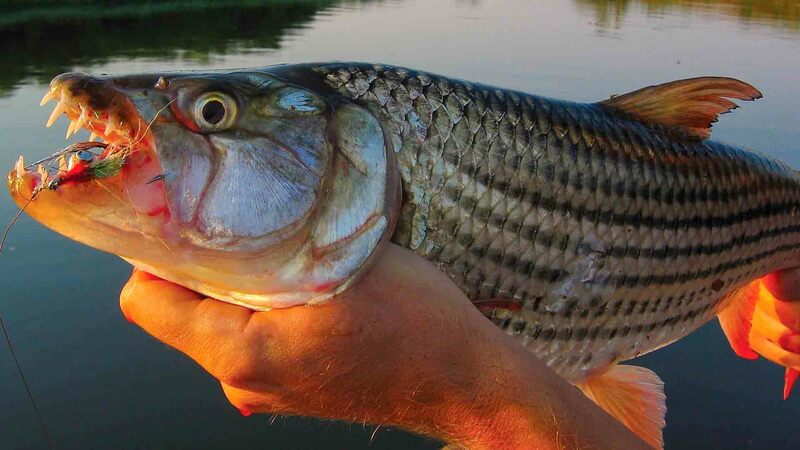 Over the past five years, Tourette's fisheries on the Mnyera and Ruhudji Rivers in South West Tanzania, have become recognized as the go-to destination for tiger fish in the 10-to 28-pound range. On both rivers, anglers have the opportunity of landing tigers over 20-pounds, with daily shots at multiple trophy fish.